Thankful Thursday – August Rush 9 days left! I am super excited to have aligned myself with BluePoint Mortgage who’s offering “Niche’s” to brokers and helping LO’s grow their pipeline. I do this all the time when I partner with my broker’s to help them source new business with one of our products. Reach out to me today, let’s get you on point with BluePoint and I will personally make you a landing page to help you gain more business. Not only will I make the tool for you, I will show you how to use it to source new business. *Must do a broker package or be an existing Broker Partner. Want to know some ideas to grow your business? – #TheBluePrint has been my digital training for years now, and has evolved to help anyone that wants to start using social media to grow a presence and gain business. CLICK HERE for that. #ThankfulThursday – AUGUST RUSH is here!! Broker’s and LO’s GAIN an EXTRA .25 on Conv/FHA/VA loans submitted in the NEXT 6 DAYS ONLY!! Must be locked by 08/31 and includes standard and HIGH BALANCE LOANS!! I am so thankful as I look back now and develop what I think will be the BEST AE training there is, that I had the opportunity to work for some big names. Some companies have trainings that are stellar, and I had the privilege to go through some awesome one’s in my career. Such as QuickenLoans leadership program, and UWM’s training. I’ve made my own several years ago and have been adding, creating and developing content since. As I help not only source new business, but grow a national footprint for a wholesale lender now, I am so pumped and thankful for the experiences I’ve had. While other lenders might be “restructuring” in some way, we’re growing. And doing all the right things to help our partners business thrive. We are BRAWL friendly, we give Broker’s options with products, to Lender paid comp options not often seen. I ♥ the unique opportunity we have, and we are so ground floor. THE OPPORTUNITY IS NOW – IF you’re an AE and not happy with where you’re at – Reach out to me HERE! The MUSIC is all around you, all you need to do is SUBMIT! **AUGUST RUSH! Thankful Thursday – The Big Announcement! #ThankfulThursday – The Big Announcement is here!! – Ok, first things first, I am super grateful for the opportunity and have big hopes and aspirations around this. The ops and management team are fantastic and really set the stage for continued growth. Such a solid opportunity and timing is just right I felt. So challenge accepted! Now I get to do what I do best on another level! And that’s teach Account Executives wholesale sales! I will have a focus on helping AE’s grow their client base while training them to gain more business from active account relationships. What I know for certain, is over the years I’ve built fantastic relationships and have rebuilt a pipeline many times over. Now I get to help others learn to do just that. I can’t wait to teach Account Executives how to grow wholesale sales! The best part! – Is this is truly ground floor opportunity for growth to any new or experienced AE that starts now! So starting today, I’m on the hunt for GRIT! Those that have a need to achieve, a desire to be competitive and are optimistic in their approach to life! Here’s a short form for now, if you have GRIT – CLICK HERE For those of you AE’s interested that read my blog all the time, I will have the direct ability to train others to add a ton of value to their mortgage partnerships. Let’s chat – Opportunity is knocking. Key words, #ThankfulThursday and #WithoutaDoubt! First and foremost, THANK YOU to all my business partners in 2017, and the new one’s to come in 2018! So many great things are happening for those in my network, and I am delighted to help the execution of goals for my partners. Without a doubt, I will conquer doubling my business in 2018 and I can’t wait. I will be doing so much more to help explode those that want to be helped! I am intrigued to unleash the secret sauce in my Blueprint for others! The key to my success has been consistently expanding my network, and helping others along the way expand their business to be more profitable and gain market share! I have done this through aiming at adding value to my network by helping Banks / Credit Unions / Broker’s and LO’s advertise and achieve their goals. With the help of others services, I am able to “offer” tools for any business to succeed! From SEO, to Websites, to Virtual Business Cards, to 1003 applications and a resource of knowledge that I keep adding value to those in my network. It all started again last year this time! I was basically given the short end of the stick on what I thought was an “opportunity of my career”! While unfortunate, I decided to do what I do best, go back to TPO and help others close loans. So I started to added value and help other broker’s increase their business by #SocialSelling! I have a proven track record and I was teaching how to use a Fan page on Facebook to help increase business to those Broker’s in my business! As a result if they got a loan from campaigns we generated, my partners would send me that loan to #myAwesomeTeam to underwrite and help close for them. This grew super fast, and was at a point I had to stop doing it myself for others and put something together as instructions for others to do the same thing. Enter my #Blueprint! Once I started to open this up to any LO across the country I was able to help others in many different positions and companies not just my own network of Brokers. Even helped a few not even in mortgages. Once a few Broker’s started seeing success in my network, I was asked to provide a #Done4U solution for paid advertising on Facebook, not just organic campaigns. So in turn I networked with others that I knew where the “pro’s” at doing this. Turns out, this is where it’s at. My Blueprint has become a stepping stone to allow someone without an advertising budget to get into paid ads. And really take off. I mean double or triple their business with ease! From my perspective the goal was to impact others and help them close more loans, little did I know it would feed my pipeline in a whole new way! The teams I work with have the best ad copy for home buyer leads hands down, and we can generate leads under 4 dollars a pop across the country! The “economics geeks” I surrounded myself with are the super pro’s that optimize ads to keep performing month in and month out! 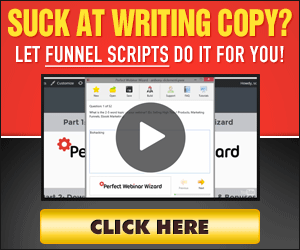 Along with my “organic ad campaign” strategy taught in the Blueprint, BOOM – More click through and less cost per click where engaged! Super excited to offer this magnificent opportunity to anyone looking to double their business in 2018! The power words are just an added value today! I wanted to tell all what I’ve been doing to build a six figure pipeline quickly in 2017, to help others and grow myself. (I had to start over at the beginning of the year) My point, is if there’s a will, there’s a way! And in my journey this year I created my own digital product to help others by accident actually! lol. Thankful Thursday – No video, straight check-up time! #ThankfulThursday – No video sorry! LOL.. I like switching it up from time to time. You know this is how you gain exposure as well. Today is social media Thursday. My buddy whom owns a brokerage does the best out there for his LO’s. I see nothing like it from anyone else. He actually has a group for his LO’s and he posts tools and resources to help that team. He is a great broker in Michigan that I have in my network. I am thankful to have partners that help other people with the same passion I do for others building their business. I am thankful for my existing partners and sometimes wish more were “action takers”. But there’s a rhyme and reason to everyone’s beat. Some just have more GRIT than others. If you have GRIT, you have to consistently be pushing yourself. You ask how can I, not why should it. You attempt to get out of your comfort zone and help yourself grow daily. GRIT is the secret ingredient to the successful. No doubt about it. There are studies now on students that display the most GRIT seem to get the furthest out of life. My point today is to help you expand your why, your level of GRIT and your want to achieve more. That need for achievement drives me big time. And I am only beginning. Today I encourage you to try this, post a version of this on your own business page or wall on social media; Social Media Thursday post; ♥ it. You know, I talk to people all the time about Real Estate, buying a new home, fixing their credit or acquiring investment properties. ONE thing that really bothers me is when people are clearly not in the right mortgage to help them get to their financial goals. You see a mortgage is a wealth vehicle. It’s actually an investment vehicle to help you achieve your financial goals. Assuming your in the right one, it can compliment and be custom tailored to help you reach your life’s goals. Weather that’s to take money and invest in a business, or send your kids to college. Or even pay for your daughters wedding. Right now, is a perfect time to get a mortgage check-up to see how you are leveraging your wealth vehicle and equity to help you achieve your life’s goals. Everyone is different. And just like a doctor recommends you getting yearly check ups, I suggest the same for your credit, mortgage and equity situation. It’s a perfect time to see how you could lower your overall debt situation perhaps, or just plan for the unexpected. I have set some time aside over the next week with holiday’s fast approaching to help others at least look into it. FREE, and of course you get my expertise to advise if there’s a way to help you generate more wealth in 2018. It takes less than 15 minutes and I invite you to reach out to me personally. You don’t even need to like this post, just message me privately if needed. Signed the #kickbuttLO that you are!